All budding singers dream of large venues, adoring audiences, and the chance to show off their voices to the world. Of course, summoning the courage to commit to the necessary enabling steps is another matter entirely. Many never dare to take the plunge, and even when they do there’s no guaranteeing they’ll be good enough to go all the way. No one can ever question the longevity or sheer magnitude of Queen’s hit “Don’t Stop Me Now”. One of the most powerful songs of the last century, it perfectly exposed the world to Freddie Mercury’s vocal brilliance, whilst also being capable of whipping any crowd into a frenzy. Naturally, it’s no easy feat to perform it well. And yet the children from Flakefleet Primary weren’t prepared to let that stop them. Taking to the stage with eye-catching enthusiasm, their cover of the classic had the judges and audiences in fits of laughter. What’s more, there’s virtually no sign of nerves present amongst them, which is no small feat considering how young they are. Instead, they were all assured of their roles and responsibilities, and exacted them with joyous professionalism. 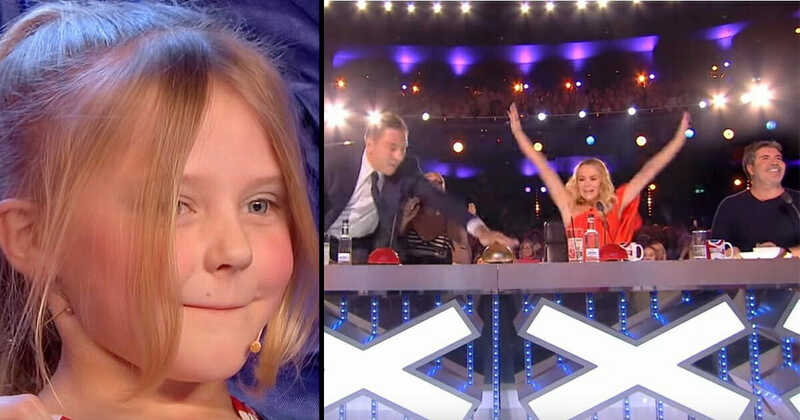 In fact, their delivery was so powerful that it earned them a Golden Buzzer from judge David Walliams, along with a lot of due praise from notoriously harsh judge Simon Cowell. Being the first group to earn the Golden Buzzer in Britain’s Got Talent 2018, they’ve certainly made a huge statement with regards to their potential. What do we think? Amazing, right? If you think this cover of ‘Don’t Stop Me Now’ was good, share this article on Facebook.